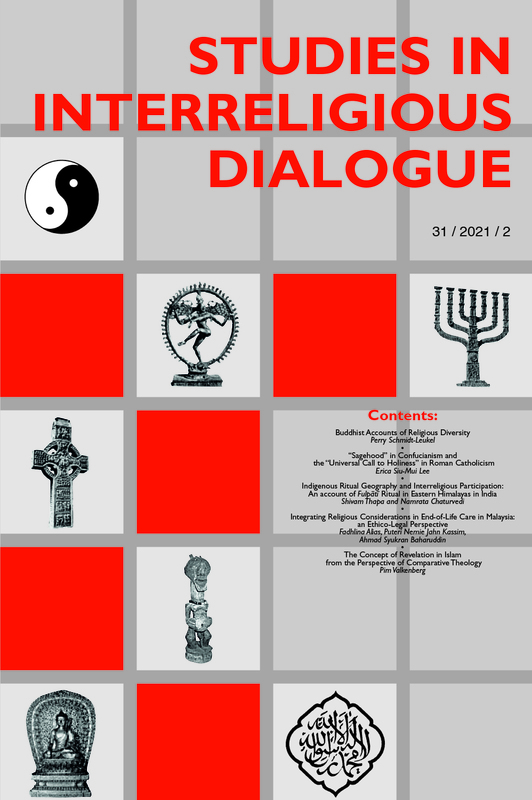 Studies in Interreligious Dialogue is an academic peer-reviewed journal. It welcomes scholarly works on encounters between believers of different religions and worldviews from a practice-theory point of view. It invites discussion of practical issues concerning interreligious relations, such as interreligious learning, worship, marriage, welfare. The journal publishes articles by adherents of various religious traditions and academic disciplines. In particular, Studies in Interreligious Dialogue aims to enhance practical religious studies as a new field in the academic study of religion. Studies in Interreligious Dialogue is abstracted and indexed in ATLASerials; Index Theologicus; Index to the Study of Religions Online; New Testament Abstracts; Elenchus Bibliographicus (Ephemerides Theologicae Lovanienses); ERIH PLUS (European Reference Index for the Humanities and Social Sciences); Scopus; CrossRef. Studies in Interreligious Dialogue is a peer-reviewed journal.